To really enjoy exploring the peaceful landscape of the Yorkshire Wolds, we recommend you buy the Walk the Wolds pack which includes 15 circular walks through rolling hills and picturesque villages. There are walks to suit all abilities, from easy to challenging. Additionally, you can download over 300 routes passing through the towns, nature reserves, coastal villages and rolling hills of the Yorkshire Wolds and East Yorkshire on the Walking the Riding website. Most of the walks are short circular ones and can be completed in 2 – 3 hours; they include walks for all ages and abilities. For spectacular (if bracing) cliff top walks, try Flamborough Head. The whole stretch of coast from Scarborough to Bridlington is walkable. We also enjoy the 45 minute walk along the beach from Hunmanby Gap in to Filey. 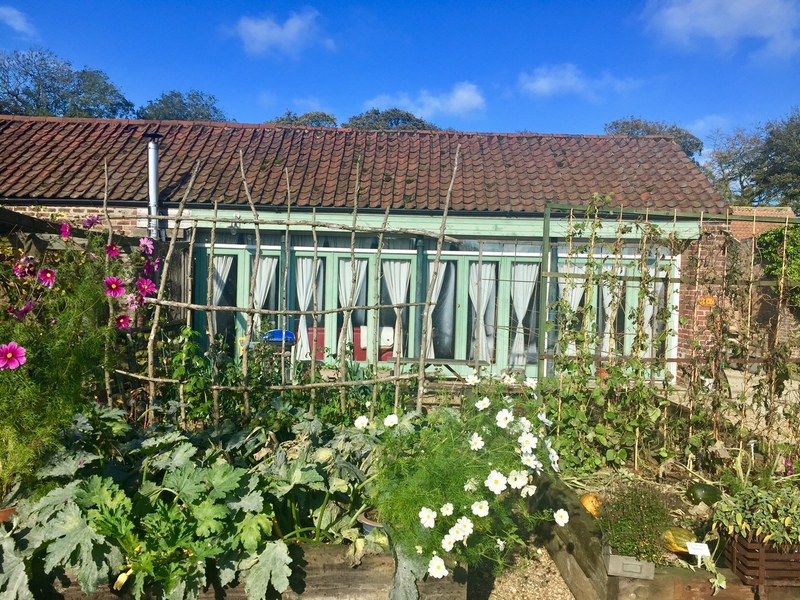 A short drive will take you to the south eastern edge of the North York Moors National Park where you will find lovely walks around The Forge Valley, Hackness, Raincliffe Woods and Langdale End. We’re lucky to have two of Britain’s finest National Trails on our doorstep. The Cleveland Way roller-coasts around the North York Moors from Helmsley to the coast at Filey Brigg. The Yorkshire Wolds Way rambles through peaceful fields and over gentle chalk-hills finishing at Filey. 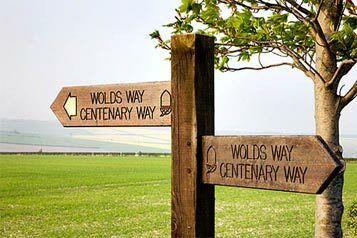 As well as being a National Trail, the Wolds Way National Trail forms part of the E2 European walking route. It is only 79 miles long and is a good first trail to try. Try a Trail are easy to follow circular walks and rides that allow you to try a short section of a National Trail in a day. Another long distance path is the Centenary Way which runs from York Minster to Filey Brigg. It runs across the Howardian Hills and Yorkshire Wolds via Castle Howard and Wharram Percy, linking York and the Foss Walk with the Yorkshire Wolds Way and Cleveland Way National Trails. It combines riverside walks in deep valleys with forest tracks.